Rather not using the Mac App Store ? Essentially the same app as the free version but without ads. Also, all future features will be free of charge and made available first in the Pro version. Not comfortable buying from the Mac App Store ? 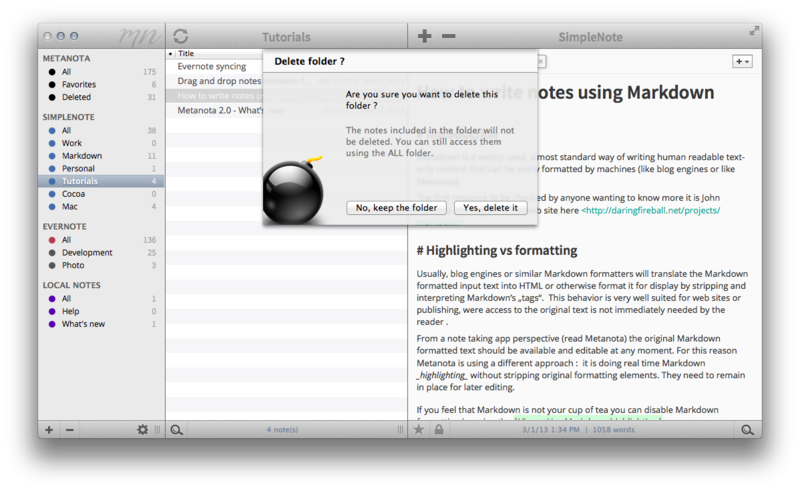 The note editor automatically formats the text, in real time, using the well known Markdown syntax. 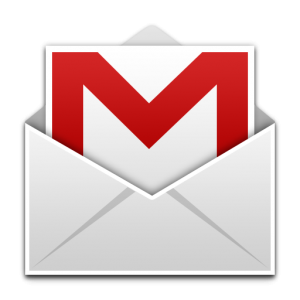 It will handle beautifully headers, highlights, lists, links, pre formatted text and more. The user interface is carefully streamlined, no unnecessary elements are left floating around. 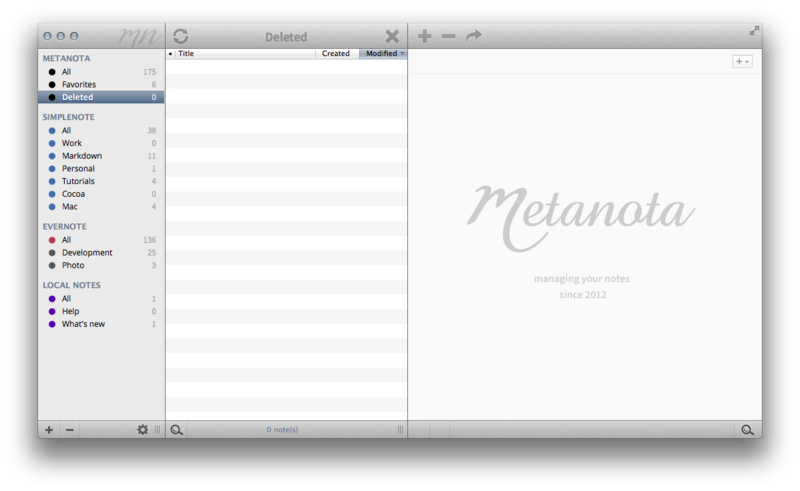 Metanota’s goal is to avoid interfering between you and your work. 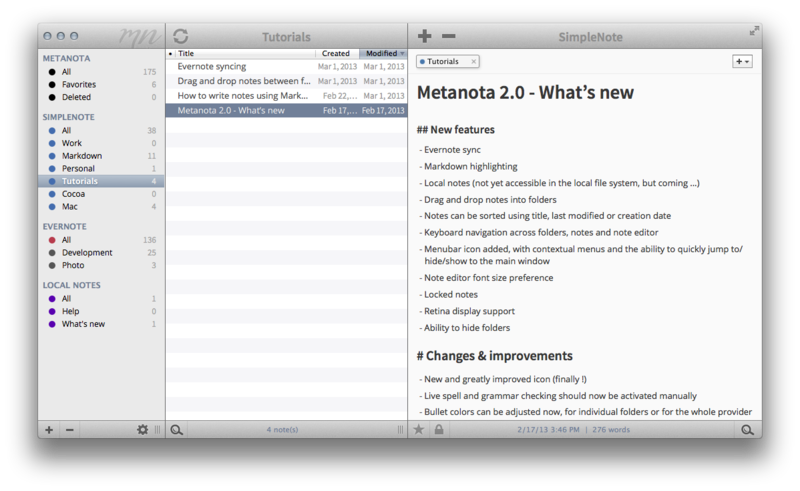 With Metanota you can find notes easily by content, or find and highlight words in the note editor as well. 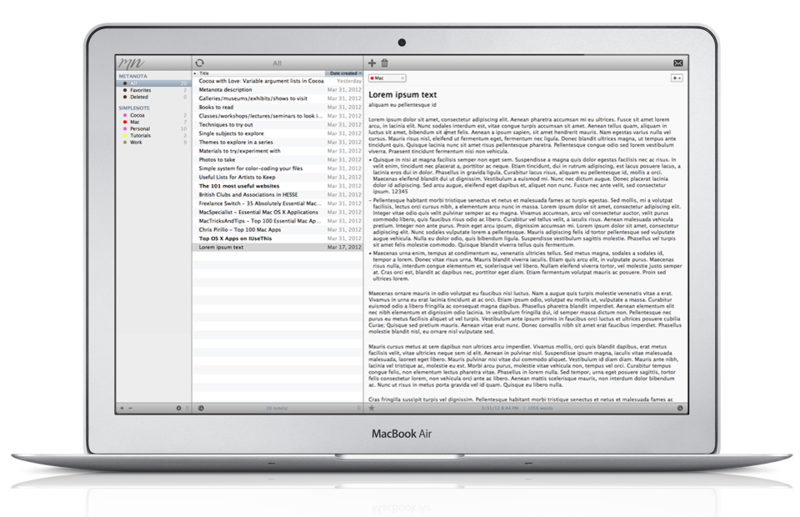 Tags are presented as folders, making easy to neatly organize your content. 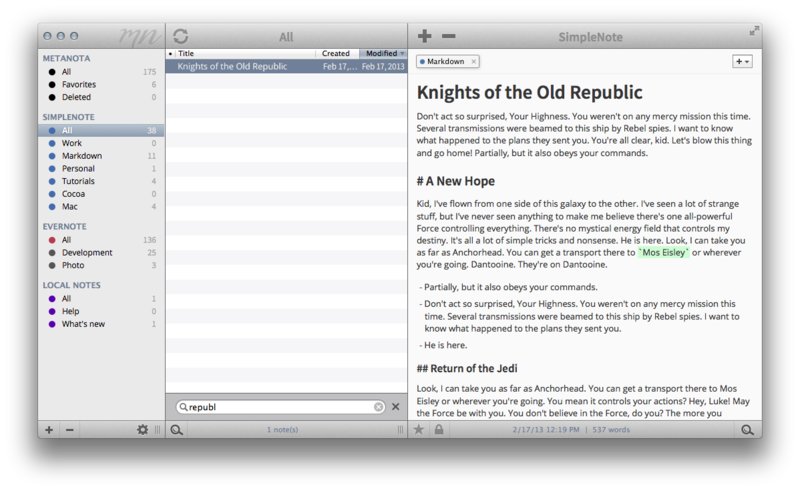 You can even drag and drop notes between folders and accounts. 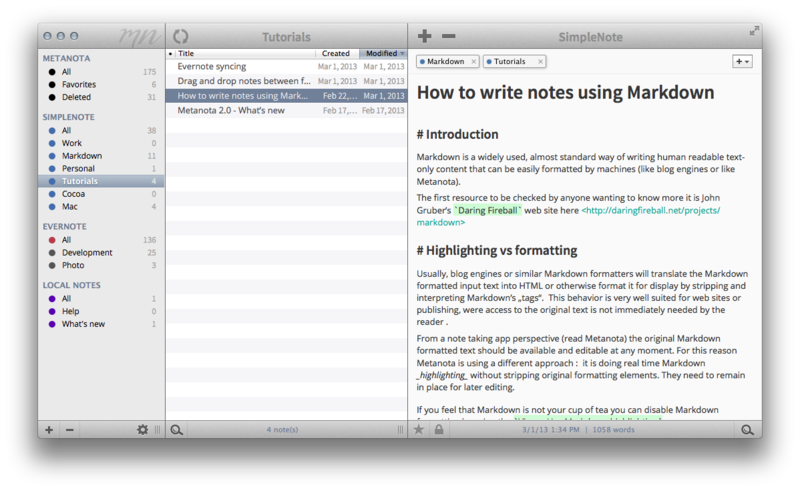 Mark notes as favorites and see them in a special folder near the top of the list. Or put a lock on a note and prevent it to be changed unintentionally. Go to Metanota's facebook page to comment on our latest ideas and to give us your feedback. Tweet to @ metanotaApp anything you want to tell us. We'll notice.